Franchise Business Review developed its list based on feedback from 6,400 female franchisees that rated aspects crucial to their success such as leadership, training, marketing and financial picture. The publication’s list honors franchises that support women in meeting their personal and financial goals while fostering gender equality. At Keller Williams, not only are more than 50 percent of the company’s 150,789 associates women, so are two thirds of the board of directors and half of the executive leadership team. That is in stark contrast to a 2015 study of women in leadership by Urban Land Institute which found women surveyed only make up 14 percent of CEOs of real estate and land use organizations. “Keller Williams has always been a strong advocate and platform for women leaders,” says Mary Tennant, current member of the Keller Williams board and the company’s former COO and president. Earlier this year, Swanepoel named Tennant one of the 15 most powerful women in residential real estate. Her leadership trajectory reflects the opportunities Keller Williams provides women entrepreneurs. The year she joined the company as an agent, she was named Rookie of the Year. This led to the opportunity to serve as the team leader of the company’s flagship market center. Later, she became an operating partner of what is likely the largest single real estate office in the world. In her many roles, Tennant has provided countless women leaders with opportunities to build profitable, sustainable businesses and make a difference in people’s lives. There are regional owners, regional directors, market center owners, team leaders and coaches who are women, notes Mo Anderson, vice chairman of the board. She was a 57-year-old woman chosen by a 37-year-old Gary Keller when she was named CEO of KW in 1994, Anderson says. And the trend of women in leadership roles has continued: by June 2017, 55 percent of market center leadership were women. One of the most successful Keller Williams leaders is Dianna Kokoszka, CEO of KW MAPS Coaching. Kokoszka led the company to be named the No. 1 worldwide leader in training across all industries by Training magazine. “The training and coaching division of our company responsible for this award is run by a brilliant woman,” Anderson says. Keller Williams has always attracted women leaders and provided them with opportunities to succeed, says Holly Priestner, vice president, KWRI. That’s often not the case in other real estate companies. For example, a recent Inman’s Special Report, “Does real estate have a gender problem?” noted that nearly 40 percent of women felt that their gender was a factor in them not getting a promotion, compared to 10 percent of men who reported they had the same experience. 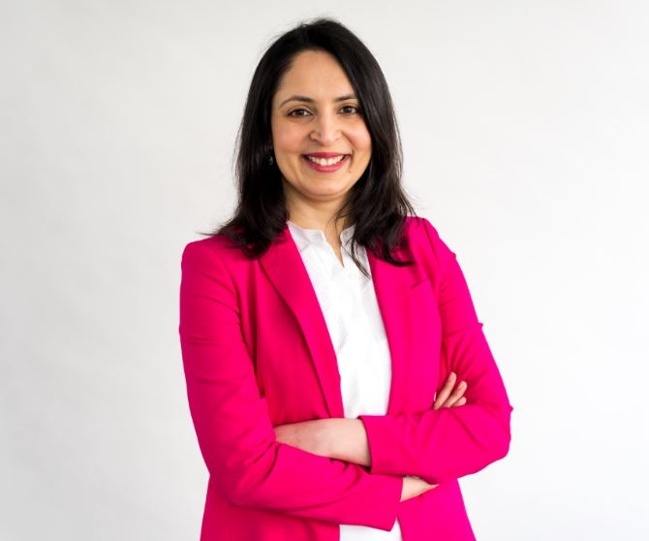 For Nagpal, she has been able to develop as a business owner and leader of her team with the direct support of Forde and the rest of the Kirkland office. Even before she joined Keller Williams in January 2016, Forde was interested in her success, Nagpal says. Forde also helped her solve the problems she was facing. In her first four months, Nagpal closed four homes. The next year, she closed 28 homes and began drawing the attention of other companies, but decided to turn real estate into a full-time career with Keller Williams. “I just felt better connected with Tracey. She had my best interests in mind,” Nagpal explains. “She would always make the time for me.” Forde’s persistence not only convinced Nagpal to leave the brokerage where she began her real estate career, but after less than three months with Keller Williams, Nagpal also quit her job at Microsoft, where she had worked for nine years. She is both excited and surprised by the change in her career path. She moved to the United States from India, earning a degree in computer engineering from the University of Maryland in College Park. With her new career, Nagpal has answered her own question. “I started to enjoy (real estate), and I quit (Microsoft). I’ve never looked back. It’s pretty amazing, actually,” Nagpal says. She loves the healthy competition. “There are a lot of people who are doing so much better than you and running bigger teams. They inspire you,” Nagpal says. When they met, Forde asked Nagpal what her plan was to scale her business. “I had no clue, I was clueless,” Nagpal says. Last summer when Nagpal decided to grow her business beyond referrals, she began working 10 to 14 hours a day. “It was crazy,” she says. Forde gave her the idea to create a team. Keller Williams provides entrepreneurship and leadership opportunities to women all over the world. Two years ago, Mariluz Gomes chose KW Portugal because she could access models and systems with proven results to grow a real estate business. The Keller Williams value proposition was the main driver in her becoming the company’s agent, she says. “Reading the Millionaire Real Estate Agent was mind-blowing since it became clear to me what the steps were to reach superior levels of performance,” Gomes says. For example, she learned to have a purposeful approach to building a team. “Accountability also made me have clarity about my business numbers and has been fueling me to reach my goals.” The organizational model of her market center provides her with the support she needs to overcome the daily business challenges, Gomes says. “Keller Williams gives everyone the same opportunities independent of their gender, religion or race,” she says.